Q. The Church never refers to "St. Moses," "St. Elijah" or "St. Isaiah." Didn't these biblical persons fulfill the Church's conditions for canonization -- that is, heroic sanctity and performance of at least two miracles? Weren't many of the Old Testament prophets martyrs, and therefore eligible for canonization? Would it be wrong to venerate these Old Testament persons and pray to them for their intercession? Is there a Church law that restricts canonization to people who lived after the year A.D. 1? Or could a pope beatify or canonize saintly people who lived before Christ? This is a good question; it may have occurred to many of us. It is true that there are no feast days for Old Testament saints in the Church's universal calendar. A helpful explanation of this fact has been given by Father Edward McNamara, professor of liturgy at the Regina Apostolorum Pontifical University in Rome. Writing for Zenit News Agency, Father McNamara said the lack is probably due to the way in which the Church's universal calendar was formed. In the beginning, only martyrs for Christ were honored on the anniversary of their deaths. Soon, feast days for our Blessed Mother began to be observed. This gradual process of development in no way implied we should not ask Old Testament saints to intercede for us. In fact, the Church does in various ways venerate and ask for the intercession of Old Testament saints. In 1600 a liturgical book, the Roman Martyrology, listed all the saints whom the Church had officially recognized up to that point. This listing includes large numbers of saints who do not appear in the Church's general calendar. 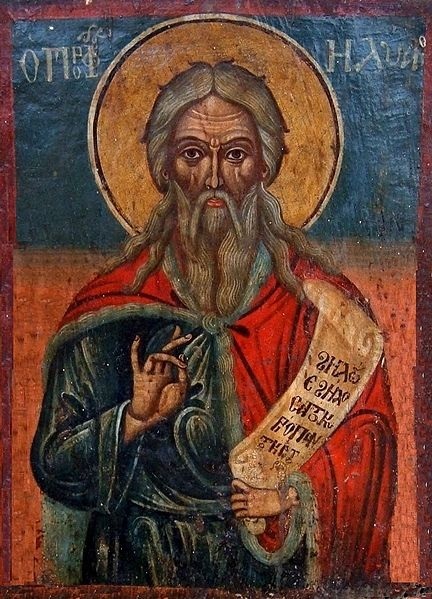 The Roman Martyrology remembers, among others, the following Old Testament saints: the prophet Habakkuk (Jan. 15); Isaiah (July 6); Daniel and Elias/Elijah (July 20 and 21); the seven Maccabees and their mother (Aug. 17); Abraham (Oct. 9); and King David (Dec. 29). "Look with favor on these offerings and accept them as once you accepted the gifts of your servant Abel, the sacrifice of Abraham, our father in faith, and the bread and wine offered by your priest Melchisedech." In one of the general prayers of the funeral liturgy, we pray, "Hear our prayers and command the soul of your servant N. to dwell with Abraham, your friend, and be raised at last on the great day of judgment." While the Church in the West recognizes Old Testament saints in these ways, in the Eastern churches, both Catholic and Orthodox, veneration of these holy people is typically more prominent. Witness, for example, the number of Eastern churches named "St. Elias." Finally, we should note that catalogs selling Catholic religious items sometimes include medals of Old Testament figures referred to as "St. David" and "St. Isaiah." There is no Church law restricting canonization to those born in or after the time of Our Lord. However, due to lack of witnesses and information, it seems highly unlikely that a pope would canonize a person from the Old Dispensation.